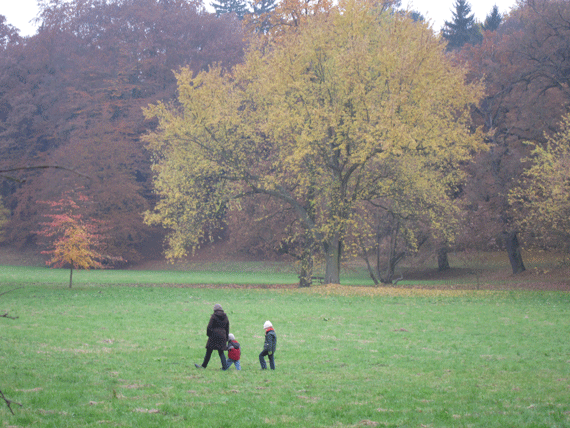 When we crave wide open spaces and spectacular nature we head to Pruhonice Park, no matter what the season. And if like us you’re a romantic who loves walking for miles in thick forests and fields passing flowing streams, lakes and a picture perfect castle then this is the spot for you. 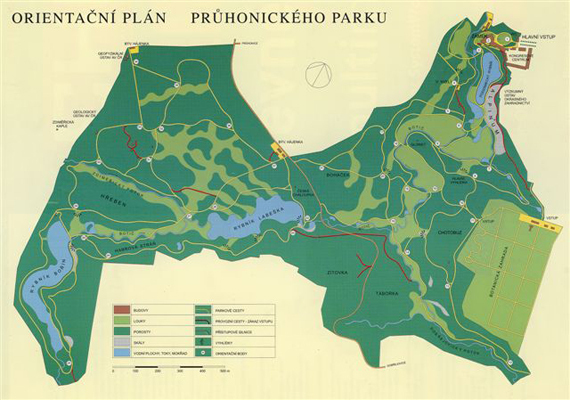 Pruhonice Park is a huge 250 hectares with 40 kilometres of pathways. Bikes are not allowed, but of course prams are and the pathways are easily managed (make sure to take the path that runs through an archway in the castle (on the left) rather than taking the rough path on the castle’s right hand side. If you’re prepared to walk for a while and make it all the way to the back of the parks right hand corner you’ll emerge onto a road which you cross and here you’ll enter another section of park with two large lakes. This is a good spot to head to when the park is busy, most people do not have the stamina to make it that far. Crowds can be a problem, especially if you visit on a sunny, warm weekend. That’s when I’d recommend you visit the nearby Dendrological Gardens instead. Outside of the weekends and school holidays you will often find that you have the park to yourselves. Prime time is Spring when Pruhonice’s famous 8000 Rhododendrons are flowering, as well as the other traditional spring flowers. Don’t let the crowds put you off though, just get there early or try and make the trip on a weekday. Keep an eye out for deer, they are often seen in the rocky outcrops especially the further you walk away from the castle. There are also plenty of ducks to feed at the lakes, something the kids always seem to enjoy. In warm weather, take a blanket and find a spot to relax or have some lunch. You can also bring your dog but they will need to remain on the leash and of course you’ll need to clean up any mess they make. Pruhonice castle has foundations dating back to the 12th century and like most castles it’s been rebuilt in various styles - Gothic, Renaissance, Empire and it’s final style Neo-Renaissance. It’s set high above the first lake on a rocky outcrop and always impresses you no matter what the season - be it high summer surrounded by greenery or under snow when the lake is frozen and the trees skeletal. The past owner responsible for these spectacular gardens was the Portuguese Count, Ernst Emanual Silva-Tarouca who married into Czech nobility in 1885. He was a devoted botanists and landscape designer, Pruhonice Park was his great passion that he designed and stocked with rare and exotic species. It’s such a great example of botany that the castle houses the Academy of Science’s Botanical Institute, thus you can only admire the castle exterior. Pruhonice Park is right in the middle of Pruhonice village on the edge of Prague. There are lots of restaurants to try, our favorite is a very nice Czech pub called U Bezoušků (Květnové náměstí 5) which brews it’s own beer on-site. The food is traditional Czech fare, the decor pleasant and the dining room is kept smoke-free during lunch time. They also have 1 or 2 high chairs available and it’s closely located to the Pruhonice Park parking area. If you are after kid friendly pizza and pasta then Pizzeria Grosetto has a restaurant out here, just across the square from U Bezoušků. Entry to Pruhonice Park is reasonable and goes to a good cause (garden maintenance).